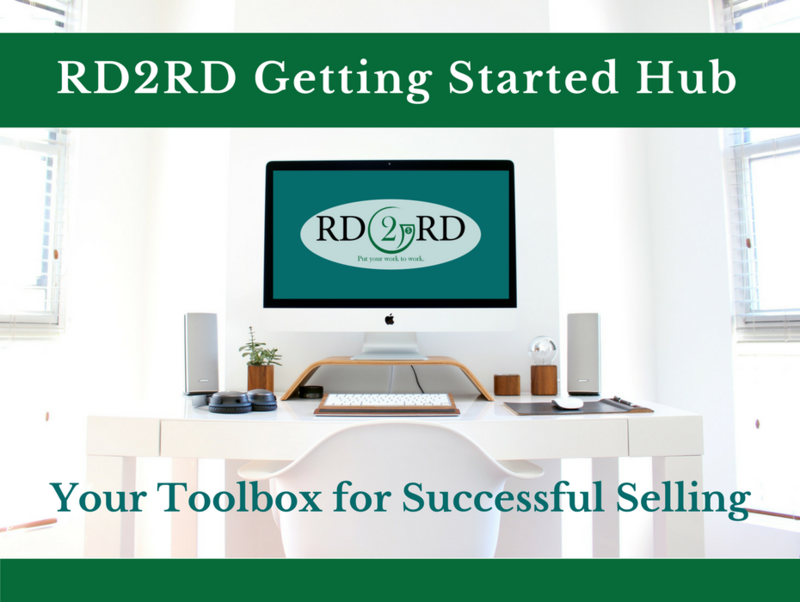 Welcome to the RD2RD Getting Started Hub, your one-stop resource for running an RD2RD store! This toolbox of resources has been carefully designed to help you build a successful store on RD2RD. Take advantage of these FREE resources to learn best practices and maximize your income. Ready to become a vendor? Getting started with RD2RD contains more than 10 video lessons. Learn how to customize your store, create product listings, review your earnings and more! Click here to access course lessons. 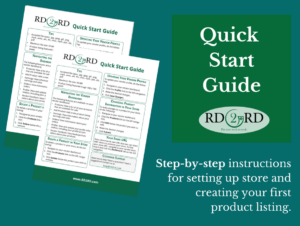 The quick start guide is a 2-page quick reference tool for managing your store. It provides step-by-step instructions for essential activities like creating a product listing and updating your profile. Use it as a stand-alone tool or alongside the video tutorials. Click here to download. 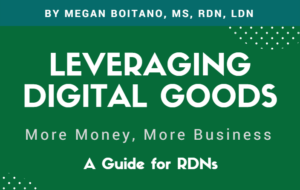 Leveraging Digital Goods: More Money, More Business is a guidebook for RDs that want to learn more about creating digital products. It contains a getting started checklist to help you identify products to sell that are good fit for your skills and expertise. Click here to download. 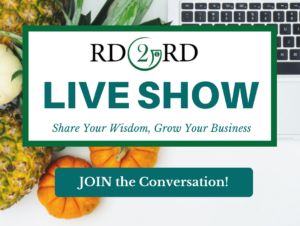 The RD2RD LIVE show is a learning series, highlighting RDNs with successful digital products. These live, Q&A sessions will answer burning questions (successes and missteps), about the journey to success. No stuffy and formal slide decks. These relaxed conversations focus on sharing wisdom and business growth! Click here to access the video library and view upcoming events. 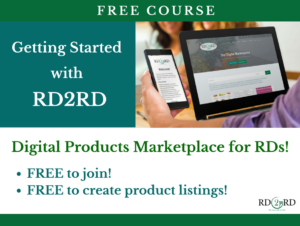 The RD2RD blog tackles topics related to digital products through the unique lens of a RD. The articles are crafted to be understandable and provide you with essential information to succeed in the digital world. How to Know if Selling on a Marketplace Site is Right for You? Ready to become a vendor? Join NOW! Questions? Drop me a line at megan@rd2rd.com.